Power Bands allow you to build explosive strength, power and speed by securing them to barbells, dumbbells and machines to provide progressive resistance for traditional exercises such as squats or benchpress. 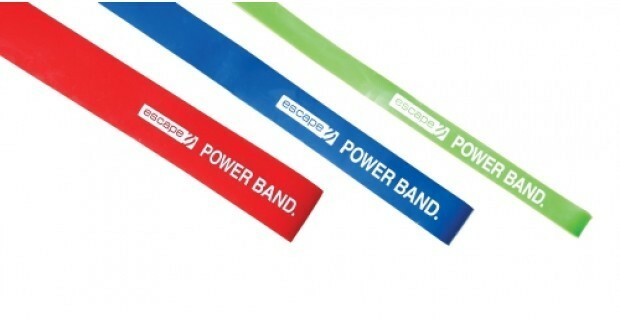 The Power Bands are available in three different resistance levels determined by band thickness and width. Each Power Band is 41” long, made of premium quality latex rubber and constructed in layers to prevent breakage. The small and medium power bands are excellent for stronger bench pressers and exercises involving the lower body, calves, quads, hamstrings and glutes. The large power band is used by very strong, heavy weights. It adds serious resistance to squats, deadlifts, leg presses and shrugs and can also be used for explosive pulls and resisted stationary running.